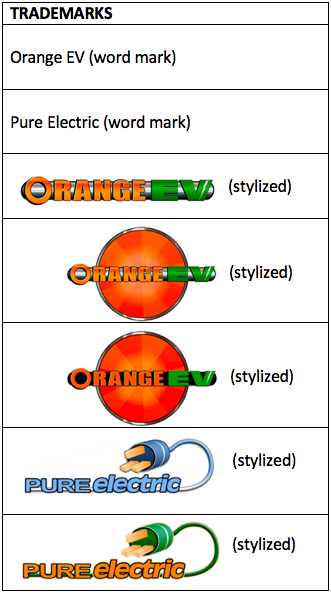 Notice to User: The tables above list the Orange EV products protected by patents and/or trademarks in the U.S. and elsewhere. This website is provided to satisfy the virtual patent marking provisions of various jurisdictions, in particular it is intended to serve as notice under America Invents Act (“AIA”) (in particular 35 U.S.C. § 287(a) of the AIA). The lists may not be all inclusive and Orange EV products may be protected by additional patents and/or trademarks in the U.S. and elsewhere.